In recent days, you may have noticed young people are sending a message to the Labour Party over its Brexit policy. This message has considerable appeal among those on the left. On Monday, the Corbyn-supporting Labour for a People’s Vote launched its campaign and a petition from members of Momentum to “stop Tory Brexit” has gained over 2,000 signatures. As a strong believer in party democracy, I hope Labour will change its position to better reflect the views of its members and supporters. Last weekend, Our Future, Our Choice, a group of which I am a member, unfurled a large banner saying “STOP BACKING BREXIT” as Jeremy Corbyn began to speak at Labour Live. On Monday, we unveiled crowdfunded posters in four Labour front benchers’ constituencies, asking them to back a referendum on the final Brexit deal. We did this because we believe that Corbyn listens to the membership on important issues, and to remind him that 78 percent of the Labour grassroots want a People’s Vote on the final deal. On Saturday I, along with over 100,000 other people, took part in the march for a People’s Vote in London. Some of Corbyn’s fellow supporters have decided to interpret this as an attack on the Labour leader or part of a game being played by the right to replace him, but this is not the case. Like most members of Our Future, Our Choice, I am a Labour supporter. I’m also a Momentum member, and voted for Jeremy Corbyn and Momentum candidates in leadership and NEC elections and, of course, in the 2017 election. This has nothing to do with the future of the Labour leader – but everything to do with the future of our generation. Brexit will be a disaster for Britain and the young, as always, will be hit first and worst. When there is any economic downturn, it is always we who pay the biggest price. Between 2008 and 2010, at the height of the last crash, the unemployment rate of 16-24 year olds doubled from 10 per cent to 20 per cent. Young people never recovered from the crash – at the time of the Brexit referendum, our incomes were still lower than they were in 2007 whereas the incomes of the over 60s were 10 per cent higher. Prices have already started to rise as a result of the Brexit vote, and again the young, who have the lowest disposable incomes, are the worst affected. But this doesn’t mean things can’t get worse, and Brexit means they will. Leaving the European Union is another kick in the teeth for a generation that is already set to be poorer than its parents. Young people currently enjoy the unqualified right to live, work and study across Europe. This right, enjoyed by our parents and grandparents for the last forty years, that will continued to be enjoyed by every young Frenchman, Spaniard and German, is being taken from us. We are the most likely to have family and friends as EU citizens, and to want to work or study in other EU countries, so we will be hit the hardest by the loss of free movement. And this loss will work both ways – already some of my European friends are concerned about what will happen to them after Brexit, despite having lived in Britain since childhood. The combination of the government’s failure to guarantee the rights of Europeans living here and it’s cynical approach to any form of European cooperation will do severe damage to the open, tolerant, forward-thinking society young people want to inherit. British universities will also be negatively affected by Brexit. Almost a fifth of academics at British universities are from the EU and they make an enormous contribution. Many are now considering leaving – at UCL, more than 90 per cent of European staff have been contacted by overseas universities to ask if they would consider moving. Alistair Buchanan, head of Brexit strategy for Oxford University, said this year: “This is the single biggest challenge to our universities, in the same way it is the single biggest challenge to our nation, since the Second World War.” British universities are set to lose billions in research funding, threatening their world class status. 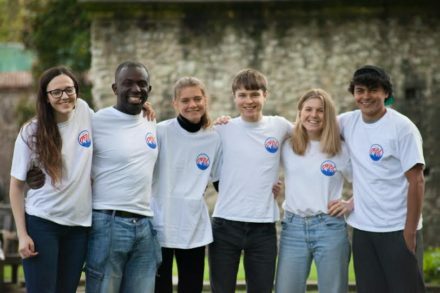 The hundreds of thousands of British students who wish to study abroad, and avoid high tuitions fees in the process, will also face new barriers. Given that 49 per cent of people in England are expected to have entered advanced studies by the age of 30, this is a looming crisis that will hit young people first and worst. Meanwhile, Brexit is a huge distraction from the towering challenges facing young people. It will be far harder to fix the housing crisis, address inequality or end austerity if we are a poorer country – and we cannot deal the effects of climate change or automation on our own. Corbyn’s radical agenda offers us the chance to solve these problems, but it will be far harder to realise if we find ourselves in a self inflicted economic crisis. Brexit could see us lose billions of pounds in tax revenue every year – money that could otherwise be spent on improving government services. For all Jeremy Corbyn’s principled leadership of the party on many issues, he is in danger of letting us down on the biggest one of all. His frontbench has adopted a position its calls “constructive ambiguity” over Brexit – a position that not only has a limited lifespan as the Article 50 deadline approaches, but also ignores the real problems for young people created by Brexit. On most of the key choices, the substance of Labour’s position is indistinguishable from that of Theresa May. It’s backing Brexit whilst promising to negotiate a cake-and-eat-it solution that allows Britain to have the exact same benefits we currently enjoy in Europe while also cracking down on immigration and negotiating our own trade deals with the rest of the world. Such a deal, as the EU has made clear, will not be possible. But Labour should be different – not least because Labour MPs, Labour members and Labour voters all want it to be different on Brexit. Labour really can own the future if it embodies the open, outward-looking values that young people instinctively support. We want a Labour Party that stands up for our generation and against the Conservative government’s destructive Brexit. Barney Dowling is a member of Our Future, Our Choice, a group of young people campaigning for a referendum on the final Brexit deal.